Before the railway the most convenient way of travelling along the coast was on the water. Roads were either in very poor condition or non-existent. 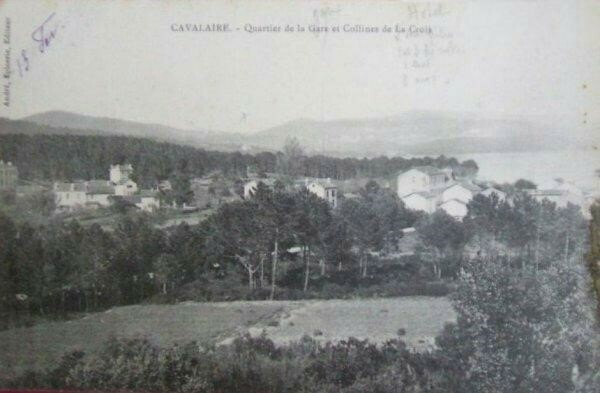 The first photo taken at Cavalaire is of Les Tartanes au Mouillage. 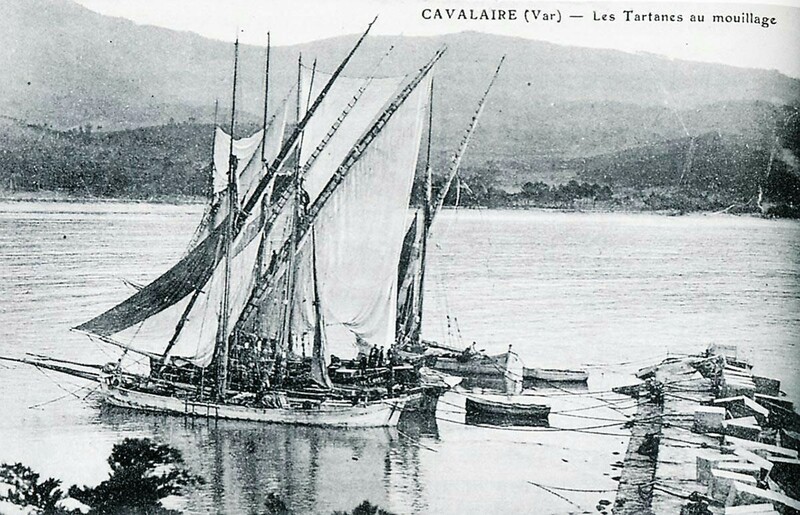 These boats ferried goods up and down the Var coastline. 24th August 1930, a train pulled by locomotive 2-6-0T Pinguely No. 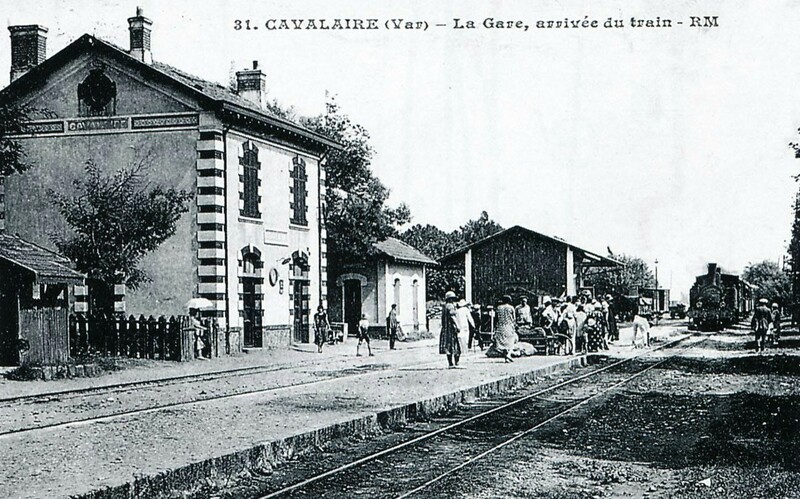 44 waits in Cavalaire station. The two vehicles on the right are open wagons TM-1501 series 1516 Hanquet-Aufort with removable side panels. (Edmond DUCLOS collection). 4-6-0T SACM Locomotive No. 62 (Edmund DUCLOS collection). 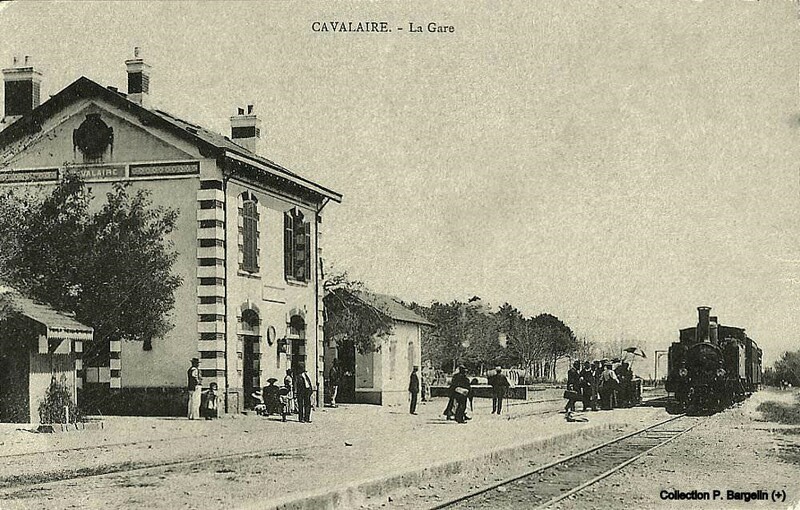 This photograph and the following one give an idea of how facilities at stations and particularly at Cavalaire had to expand to accommodate growth in traffic. 2-4-2T SACM No. 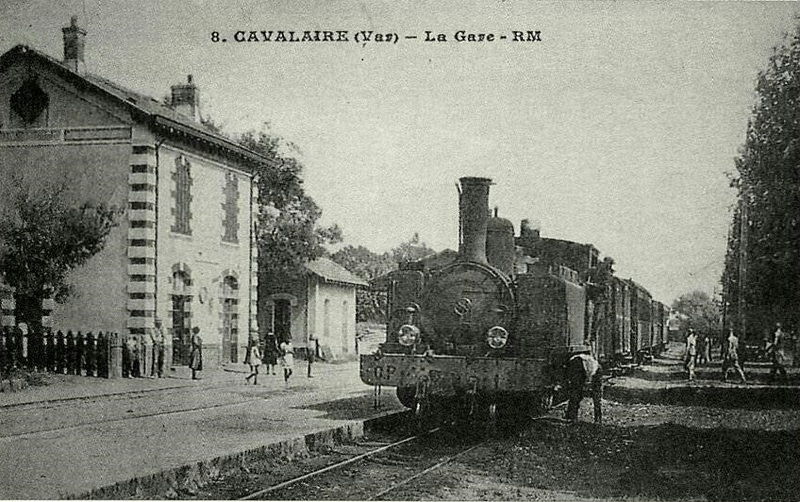 52 arrives at Cavalaire Station in around 1905. The left track is reserved for goods. Passengers cross that track to reach their platform. There is just an open platform and a single gantry (Michel FRANCHITTI Collection). 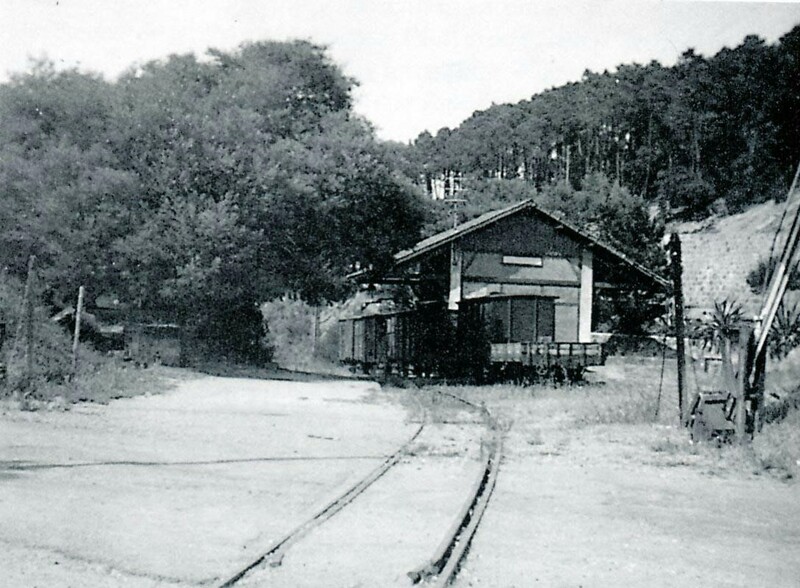 In the next photograph, taken in around 1920, a good shed is visible which was constructed in 1912. The train entering the station is pulled by a 4-6-0T No. 61 to 66 Series Loco. (Raymond BARNARDI Collection). 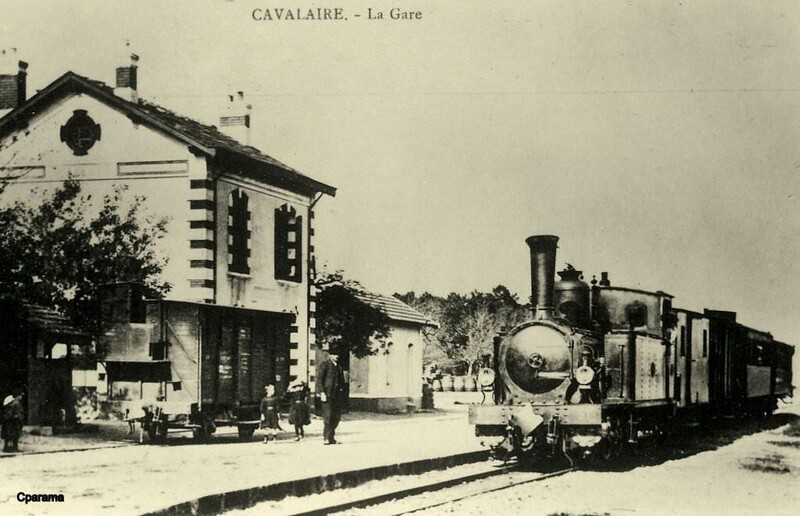 At the head of the mixed train from Saint-Raphael to Hyeres, the locomotive 2-4-2T No. 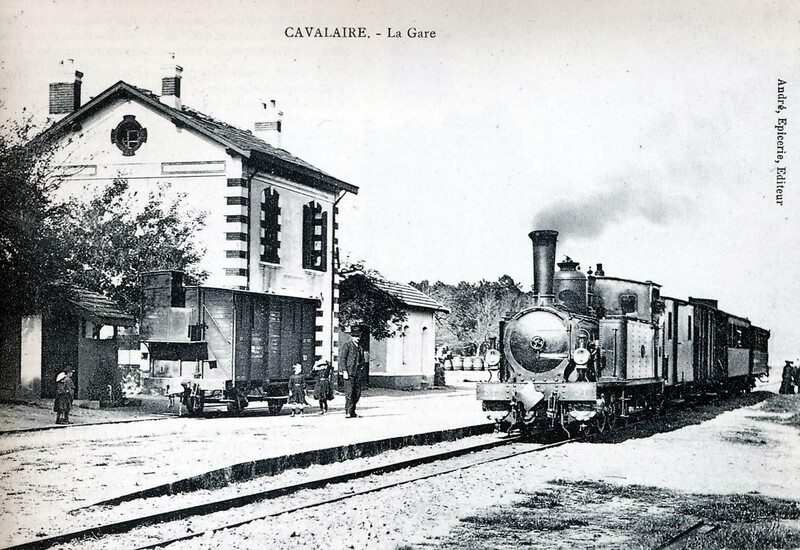 51 from the first series delivered in 1889-90 by the Alsatian Society of Mechanical Engineering enters Cavalaire station. This engine represented Southern-France at the World Fair in Paris in 1889. 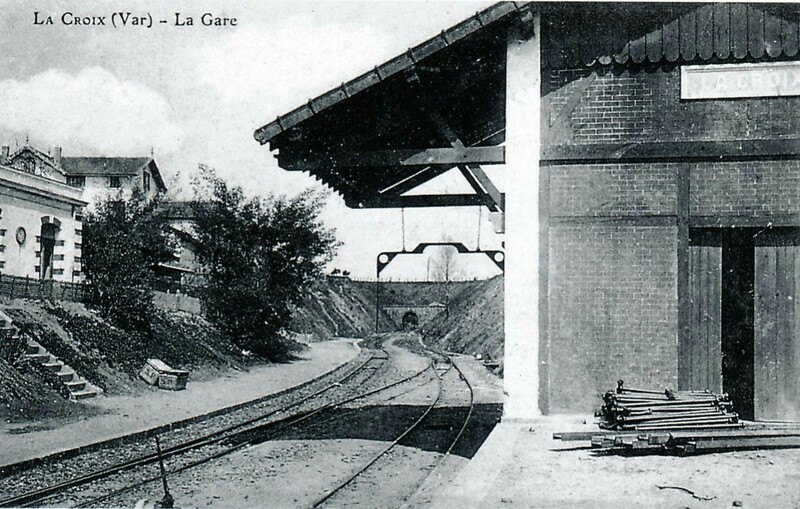 The boxcar, equipped with a brakeman’s booth, belongs to the series JG-201 to 216 delivered at the same time by the Forges de L Horme and Chantiers de La Buire (Edmond DUCLOS collection). 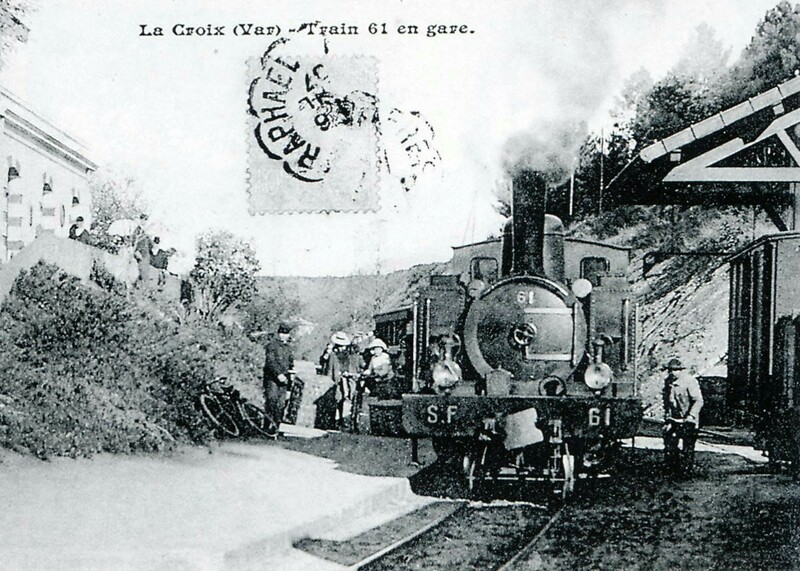 On two occasions, 4-6-0T Pinguely locomotives from the wider network of the Chemin de Fer du Sud, came to lend a hand to their sisters on the coast. 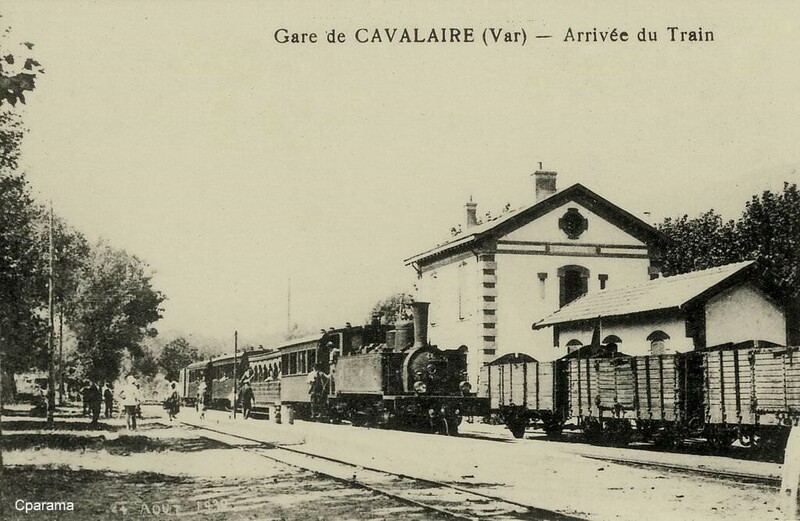 No.93 marks stops at Cavalaire station shortly after 1925 (Collection Jean BAZOT). In 1942 locomotive 4-6-0T Pinguely No. 64 precedes C-2508 and another car of the same type, deprived of its roof (Photo Jean-P SCHOEN). 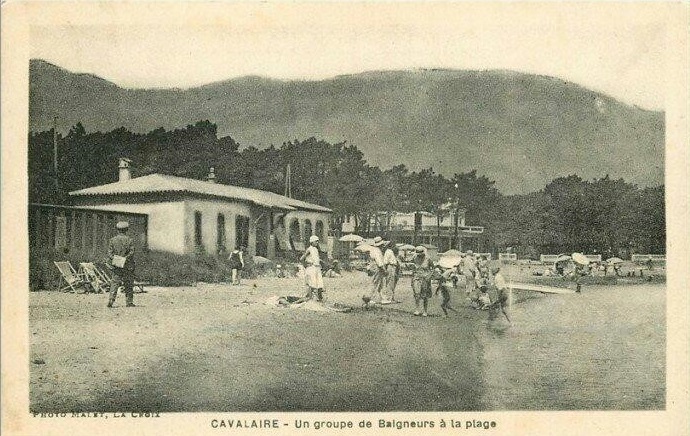 Cavalaire Station sometime between 1925 and 1930. On the platform there is a ladder used to load and unload barrels from van (Jean-Pierre VIGUIE Collection). 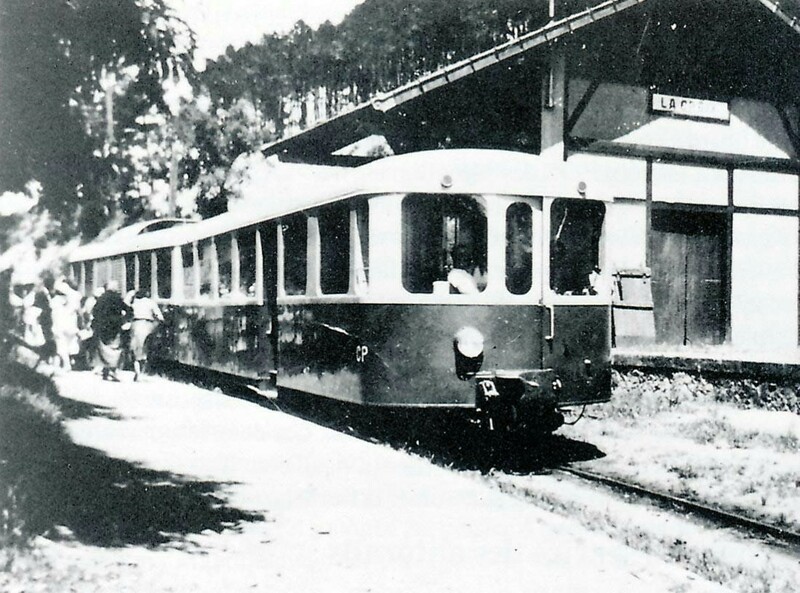 Autorail Brissonneau & Lotz around 1939 in Cavalaire (René SENNEDOT Collection). 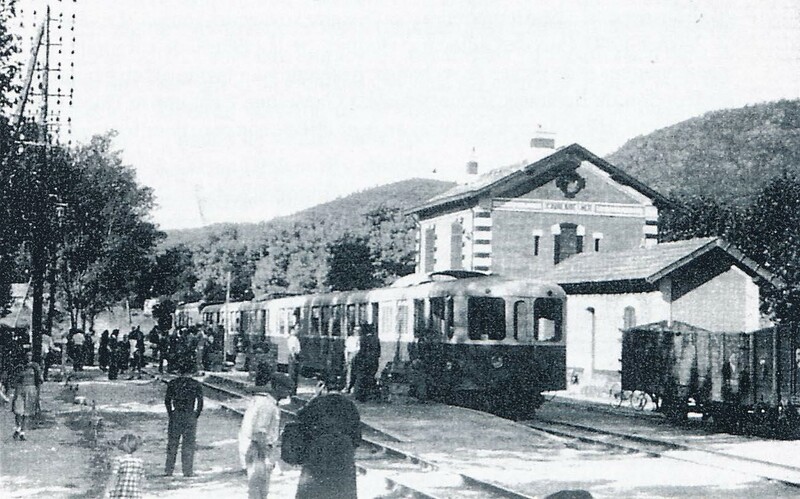 The mobilization train in September 1939, at Cavalaire station: the train is composed of two self-propelled railcars towing a wooden vehicle (Patrick GUIMELLI collection). 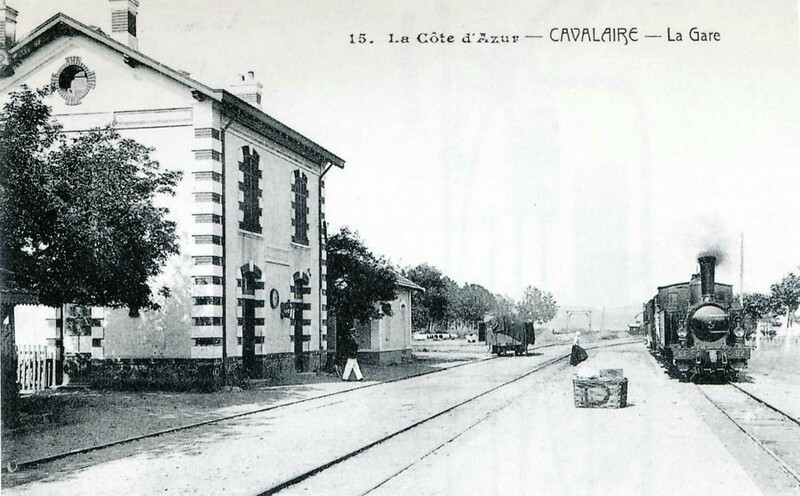 By 1978, Cavalaire Station was being used as the offices of a coach company (Photo José BANAUDO). 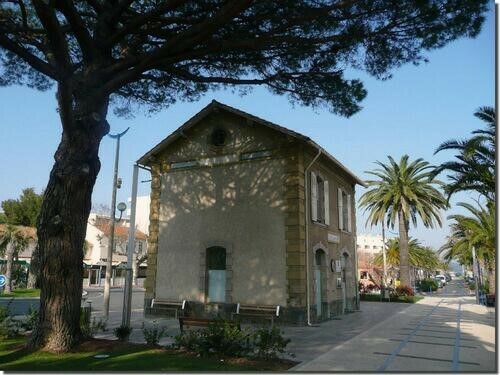 Cavalaire-sur-Mere Station as it is today. The station clock has been refurbished. 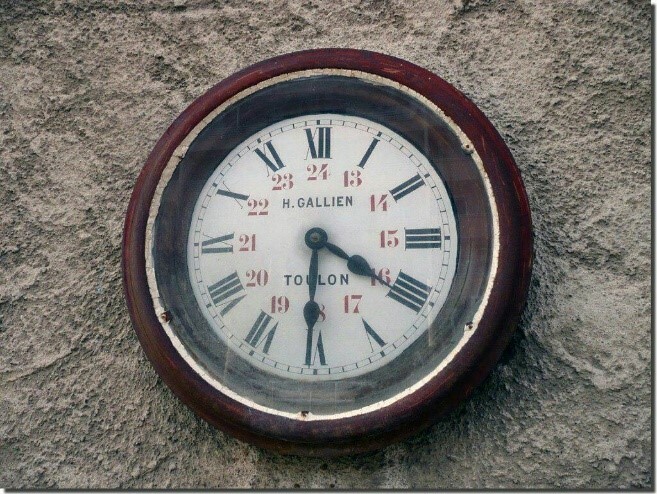 It is typical of station clocks along the line. This aerial photograph shows the station at or around closure. The station building is marked with the orange marker. The bridge in the pictures below is marked on this photograph as well. 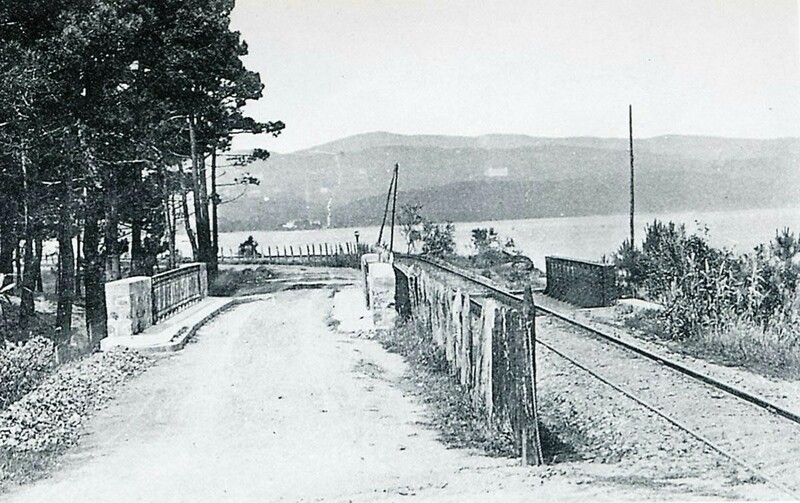 Leaving Cavalaire, the railway crossed La Castillane on a metal bridge parallel to the road bridge. The bridge over La Castillanne had to be lengthened to 15 m after being destroyed by a flood in 1898 (Collection Raymond BERNARDI). This is the same location. The picture gives a much clearer impression of the road, railway and beach layout. 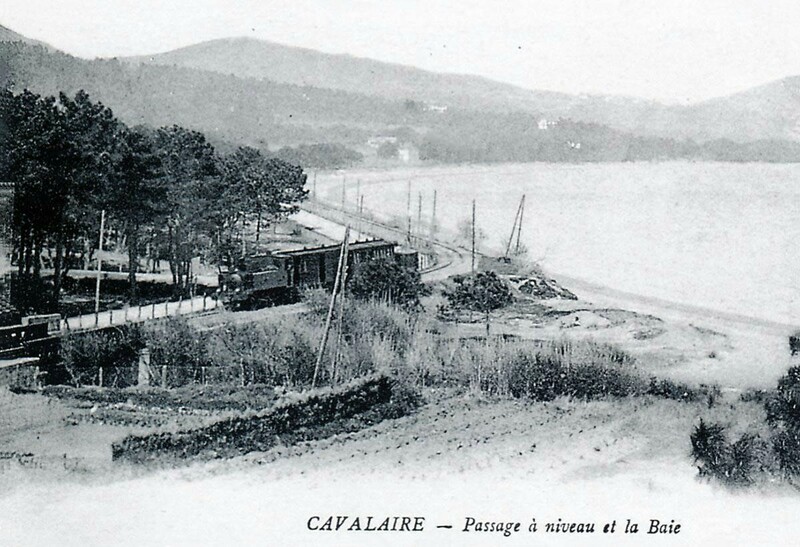 The railway continued along the beach to Pardigon (René CLAVAUD Collection). 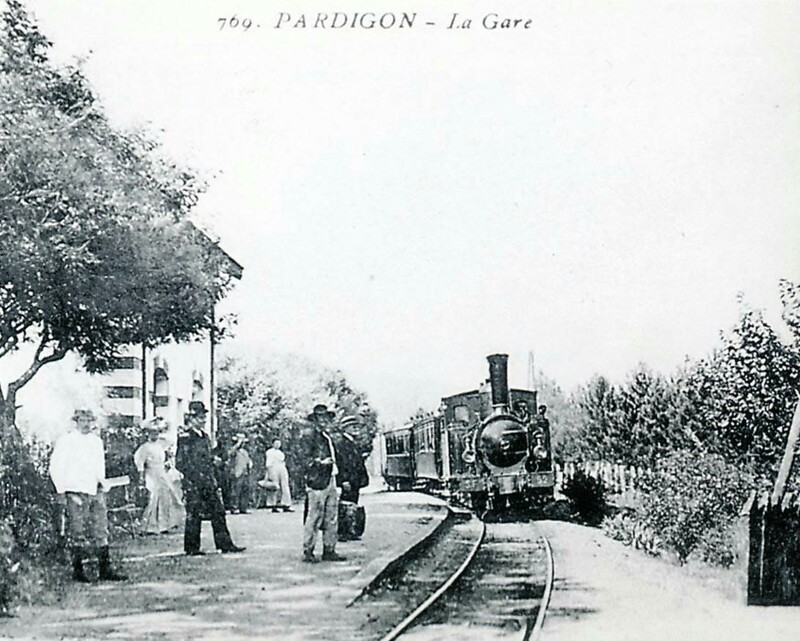 Just along the beach from Cavalaire was the halt of Pardigon. 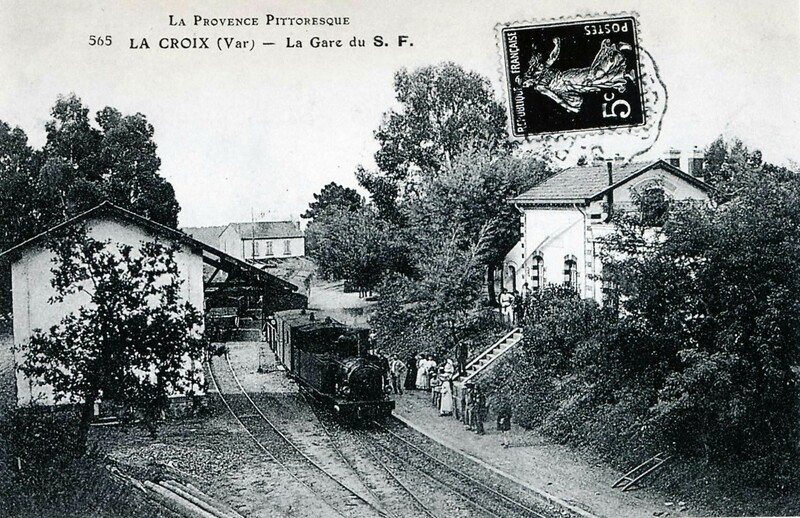 The first image of this small station shows 2-6-0T Pinguely Series 41 to 44 entering the halt before hauling its train up the grade towards La Croix (Edmund DUCLOS Collection). A view of the halt taken from the coast road. 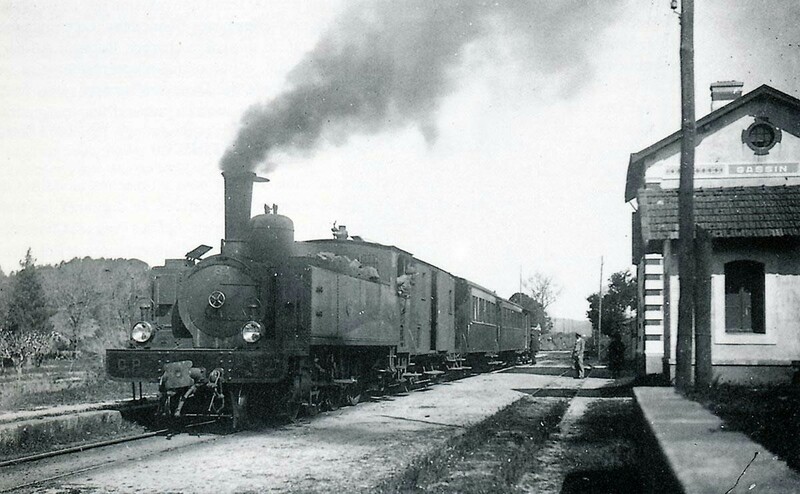 In this picture, 2-4-2T SACM Series 51 to 56 has just surmounted the grade and is entering the station. After Pardigon, the line climbed away North from the coast. It then turned East through La Carrade. Beyond the village there was another small halt named after the village but all evidence of the halt has disappeared. The line continued to climb up to La Croix which sits 100 metres or so above sea level. 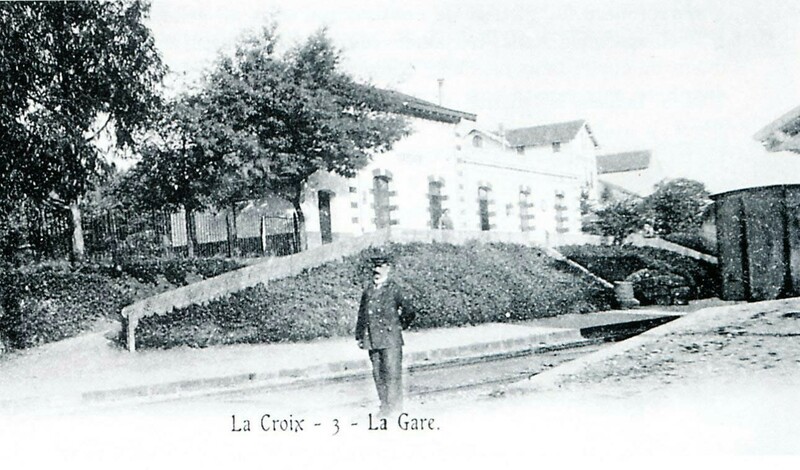 The station at La Croix opened in 1890 with the line, goods facilities were completed in 1898. The track layout was revised and enlarged again by 1900. 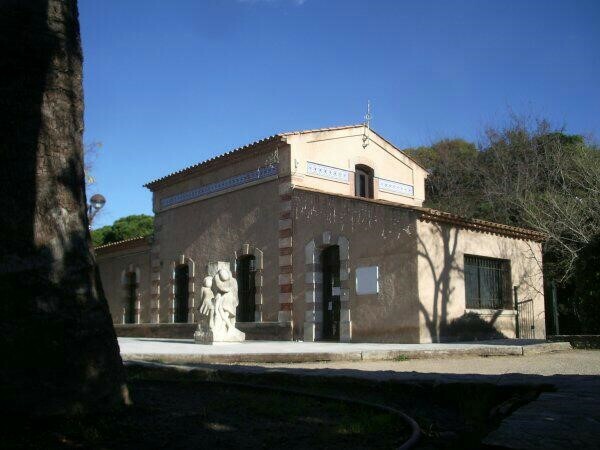 The station building is intact and in use as the municipal library. At La Croix, the summit of the grade on the line was reached. 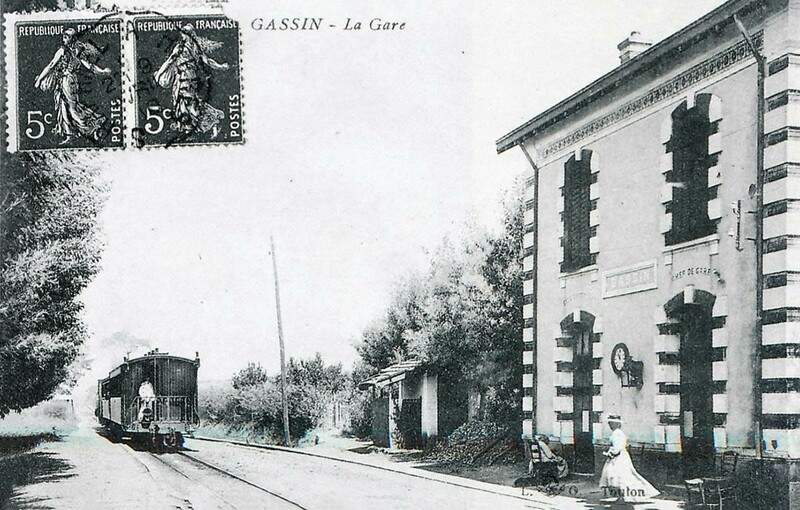 The station was originally a simple stop serving a hamlet in the town of Gassin. 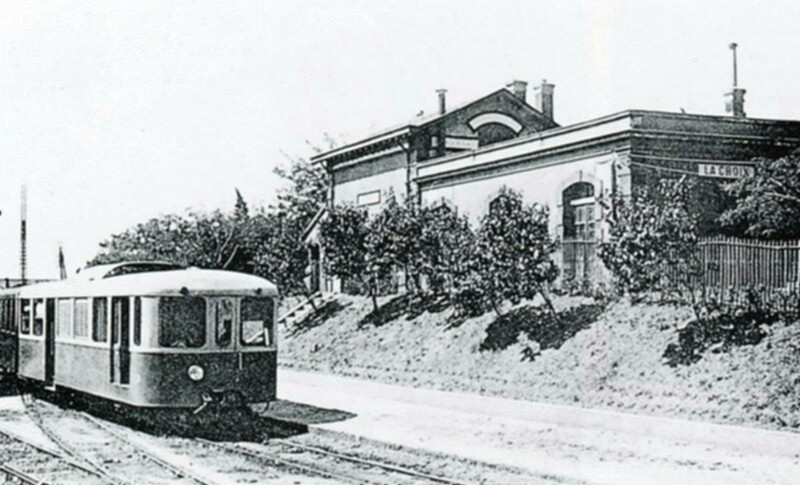 The station building was built a little above the platforms as the line was in a cutting. There was a ramp and staircase down to what was at first a single platform. However, it quickly became clear that local agricultural traffic would require the addition of goods facilities and an enlargement of passenger facilities too. These changes, as already noted, took place between 1894 and 1900. 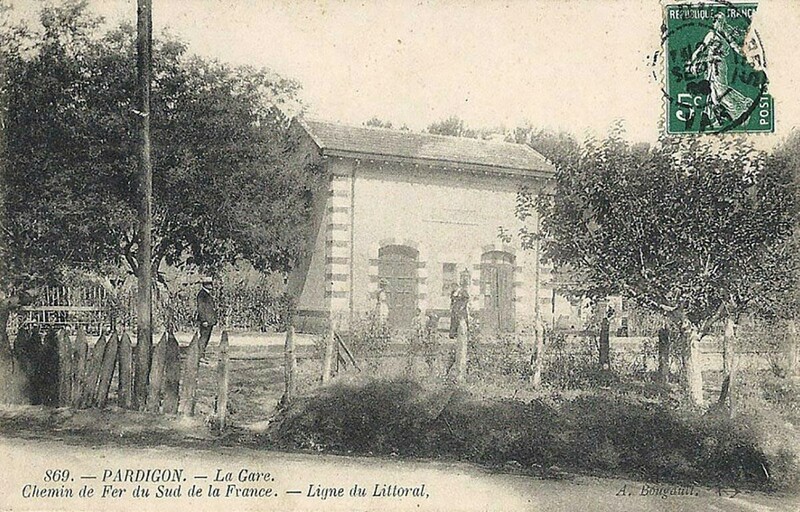 In the picture above, the stands proudly in front of his station building which had been enlarged in 1900 (Jean-Pierre RIGOUARD Collection). This second picture shows the newly installed goods shed. 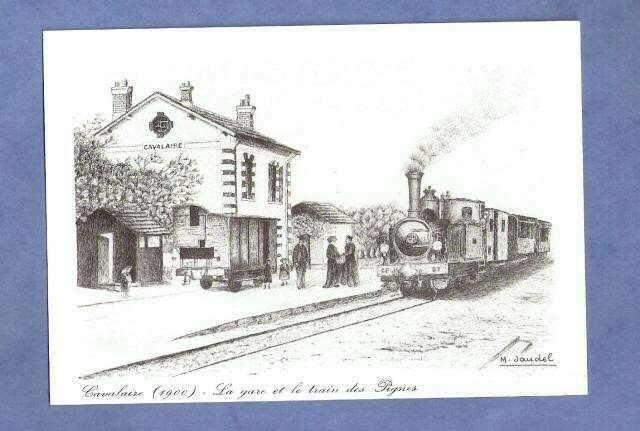 In this third picture, we see a train from Hyères to St. Raphael pulled by a 2-4-2T SACM series 51 to 56. 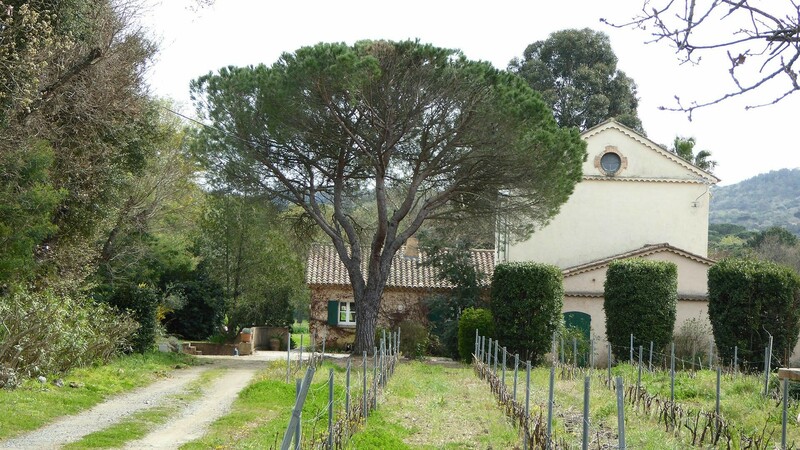 It has just climbed the grade up from the coast at Pardigon and is coming to a stop at La Croix (Jean-Pierre VIGUIE Collection). 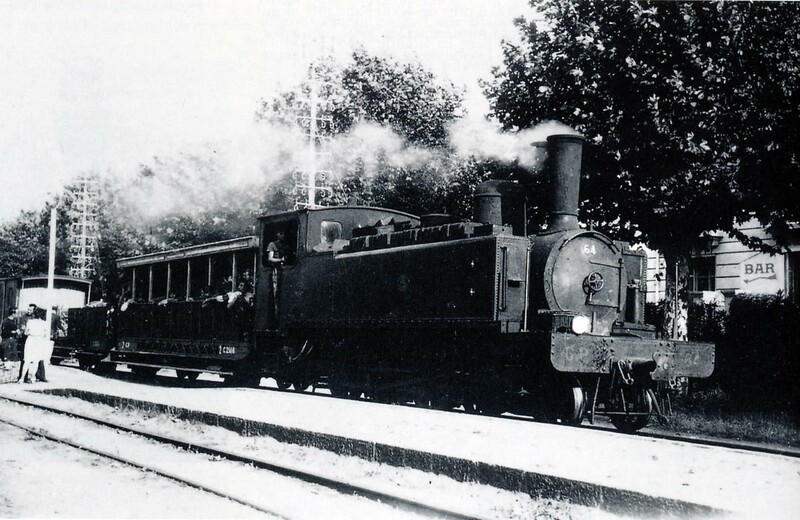 Our fourth picture shows a mixed train, St. Raphael – Toulon, pulled by 2-4-2T SACM No. 56 stopping at La Croix. A line of wagons is stabled in the goods siding. Note the buffer, couplers and coupling for the vacuum brake of the Buire T-1386 open wagon (Philippe LEPINE Collection). The fifth picture shows the engine driver of 4-6-0T No. 61 wandering round his loco greasing key points while various bicycles and baskets are unloaded (Gérard BERNAUD Collection). The picture above shows the station layout without a train present and shows the proximity of the tunnel ahead towards La Foux. 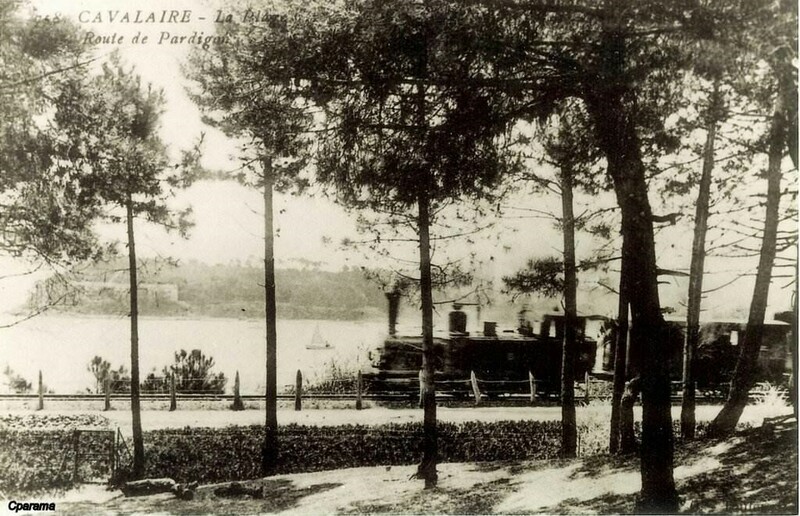 That below shows a Brissonneau railcar passing through La Croix towards Saint-Raphael in around 1935 (Christiane CHATON collection). And the next image shows another railcar – a new Brissonneau & Lotz self-propelled train heading for Hyères and seen from behind (Christiane CHATON collection). Towards the end of operations on the line, the next image shows very limited maintenance with trees overgrowing the line and surrounding the goods shed (Bernard ROZE collection). Today the station building serves as the municipal library. La Croix has a significant place in the history of Europe. 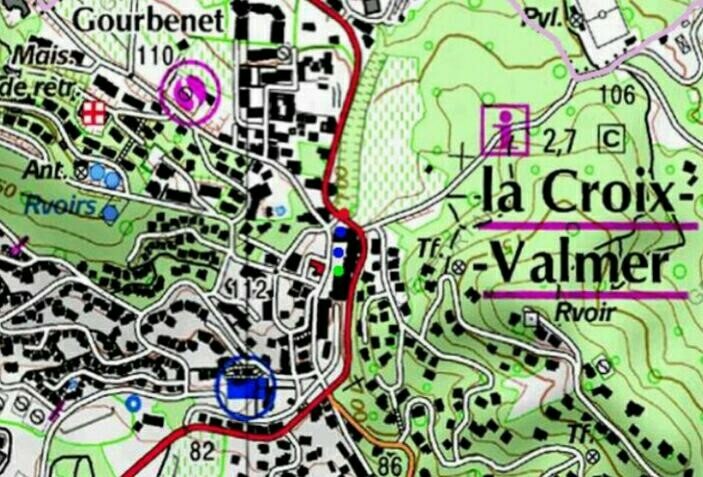 The Emperor Constantine the Great, on the way to wage war against his brother-in-law Maxentius in 312 AD, is said to have had a vision of a cross in the sky stating “in hoc signo vinces” (by this sign you will conquer) at the location where La Croix-Valmer is now situated. On April 16, 1893, a stone cross was erected on the site where tradition holds this vision occurred. 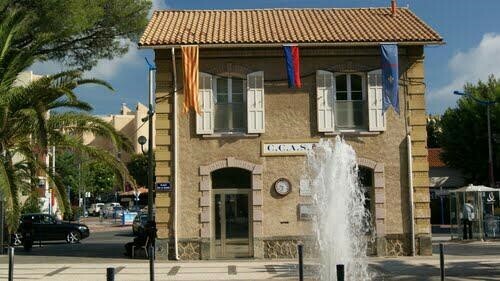 La Croix-Valmer became a commune on 6 April 1934, separating from the commune of Gassin. The area has been inhabited since ancient times, as demonstrated by the discovery of remains such as prehistoric tools and the Roman farm of Pardigon (dating from the third century BC). 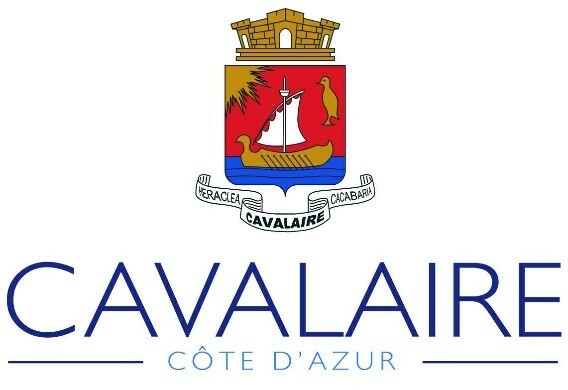 During the Second World War, the beaches of La Croix-Valmer were part of the Allied invasion of Provence during Operation Dragoon. 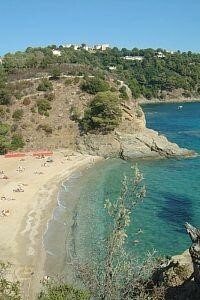 The name of one of the local beaches, Plage du Débarquement (“Landing Beach”), bears witness to this. Abel Faivre, (1853-1945), a French painter used to live in La Croix Valmer, near the Gigaro beach. 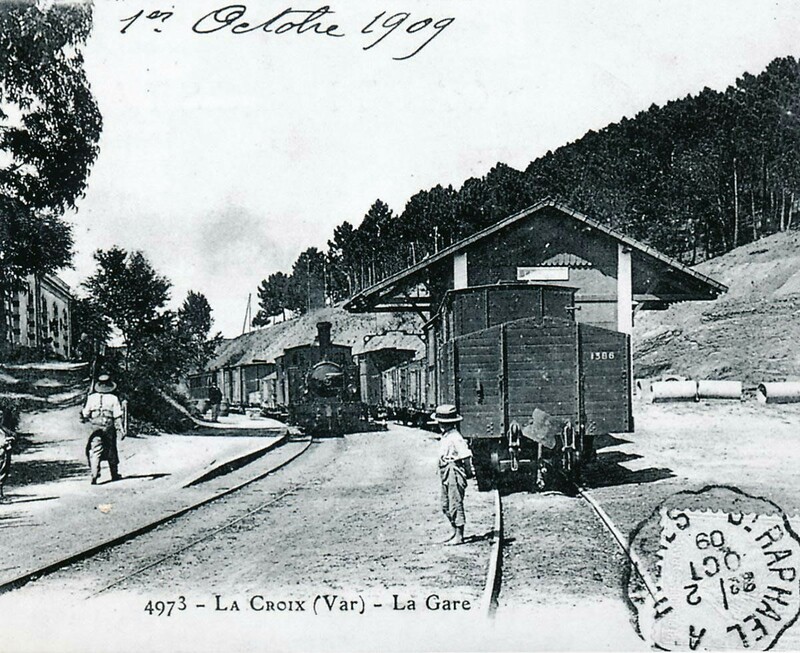 Beyond La Croix, the line entered a short 30 metre tunnel and then began to drop down towards La Foux. The tunnel and the cutting to the north of it are marked on the plan above. 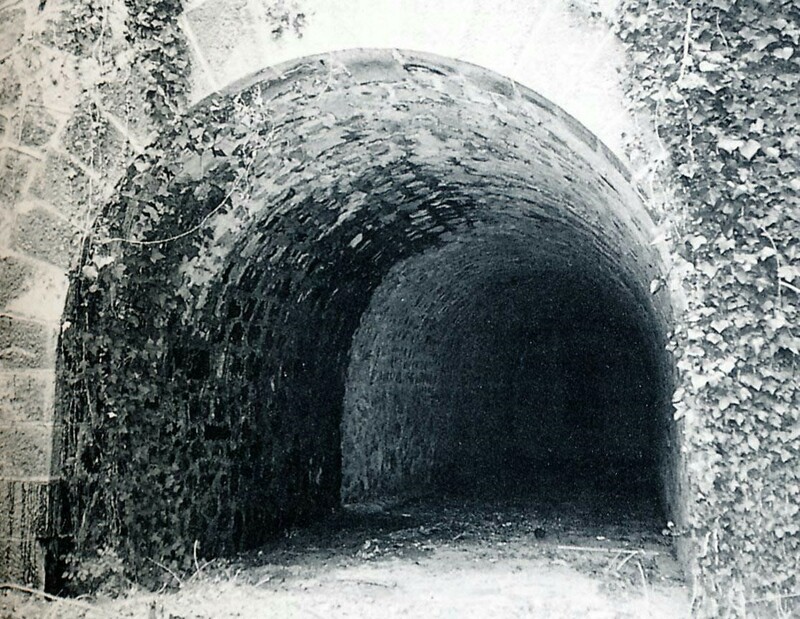 We have seen the entrance to the tunnel in the photograph looking through the station. The portal at the north side is shown here, after closure of the line. 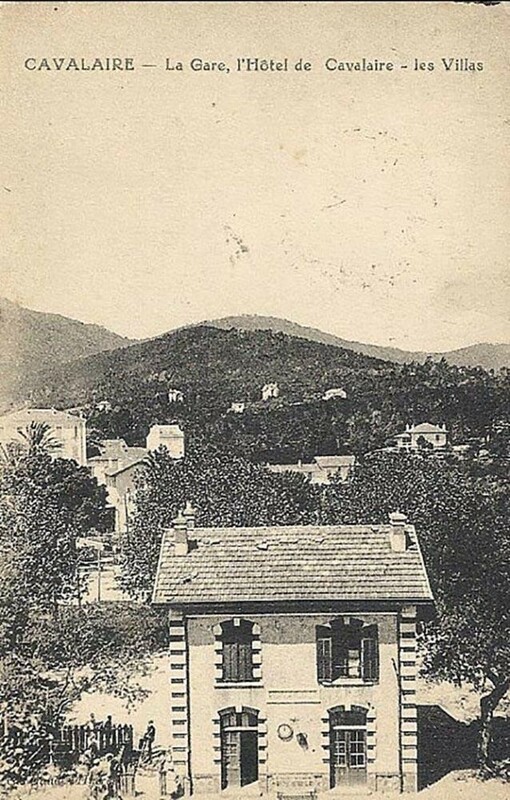 The railway then drifted down through a small stop at Le Broc and on into the station at Gassin-Ramatuelle (originally Gassin). 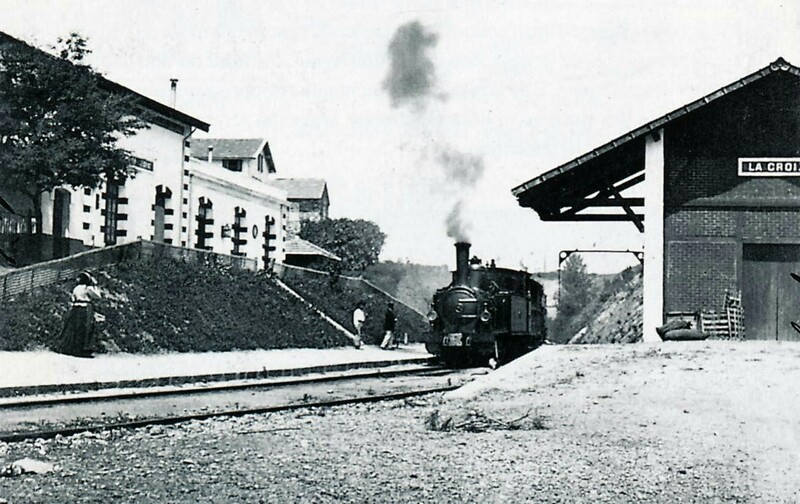 In this image from around 1910, a passenger train has just left Gassin station and begun the descent towards La Foux (Edmond DUCLOS collection). 4-6-0T SACM locomotive No. 62 at the head of a light train at Gassin station around 1930 (GECP collection). Charlotte, the donkey belonging to Gassin’s postman, picks up the mail at the station in the inter-war years. In the first of these pictures the donkey patiently waits for the mail train. 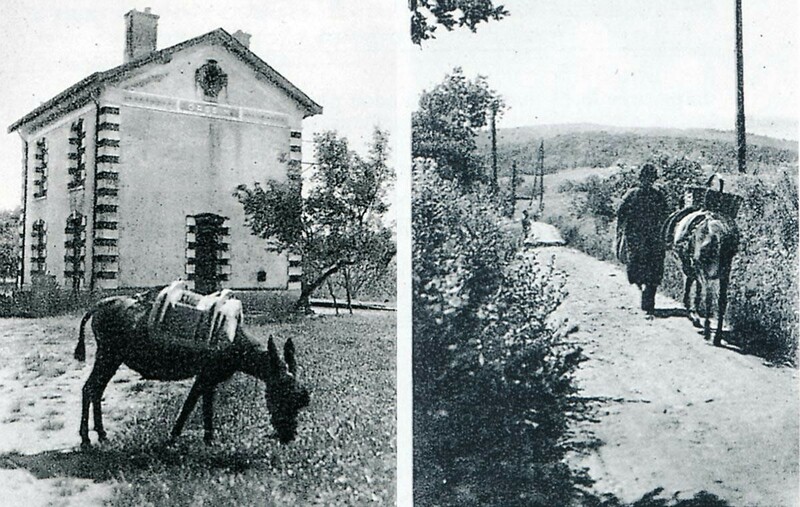 In the second picture, the postman walks with his donkey to the station (Raymond BERNARDI Collection). The third picture was taken by Jean-Pierre Moreau in 2016. The donkey is long-gone. 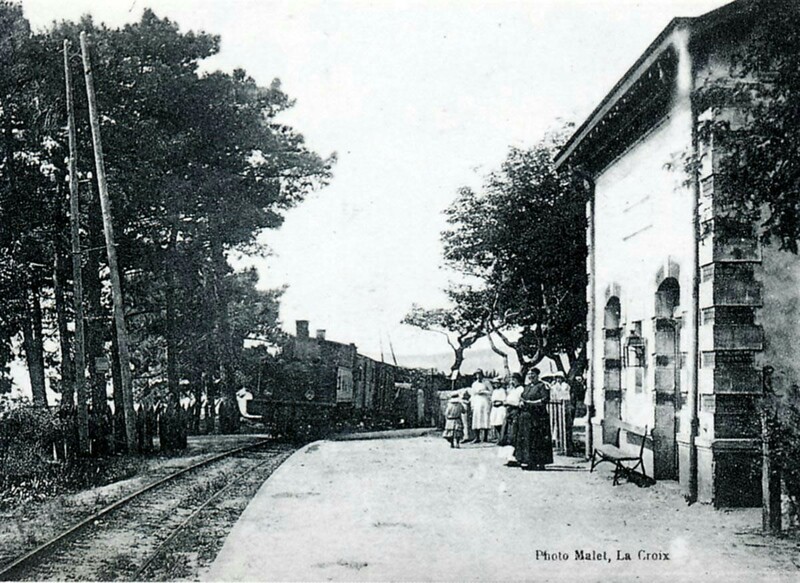 The line continued down to La Foux, rated a 2nd Class station it was an important junction on the Chemin de Far du Sud de La France with branch-lines to Cogolin and Saint-Tropez. 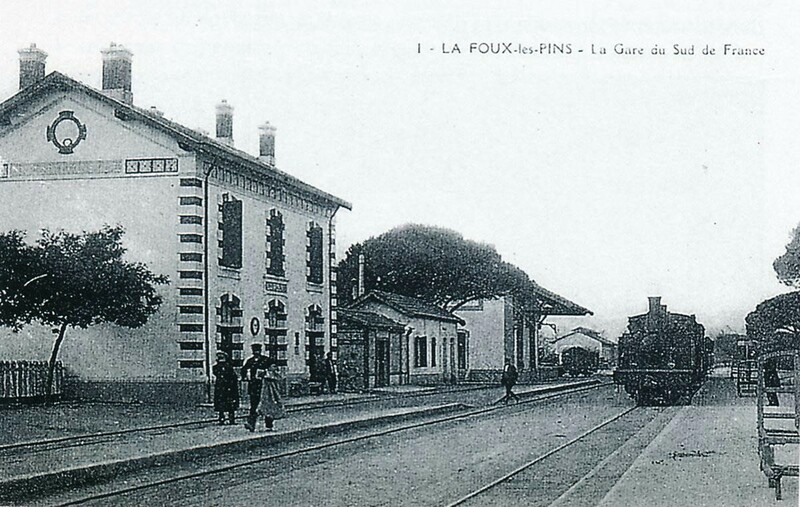 While we are at La Foux les Pins we will learn a lot more about the two branch-lines and about the immediate area around the station.